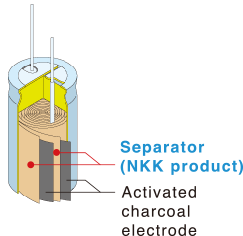 We pioneered a new market with separators that can handle a high quantity of electrical energy. Electric double layer capacitors are a type capacity that utilizes the physical phenomenon called electrical double layer effect to markedly increase the power storage efficiency. 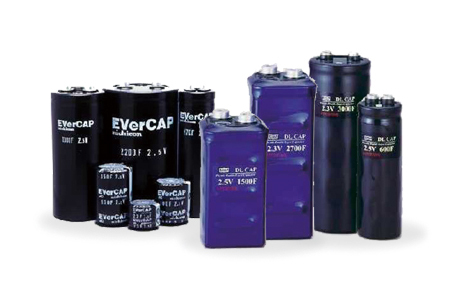 The electrical capacity is far greater than that of capacitors and their greatest characteristics are they can charge and discharge a large amount of electrical energy is an instant. 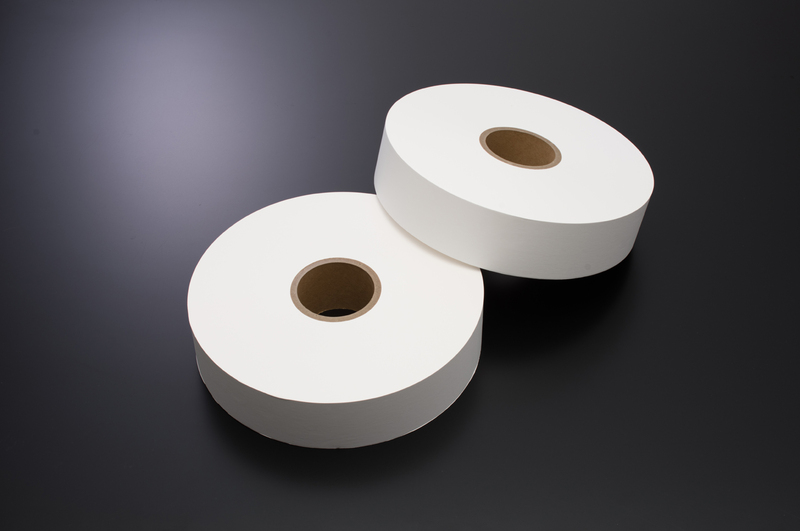 They are used in a variety of fields including office automation equipment, industrial equipment, conveyors of cranes, etc., and precision equipment production lines, and in the future they are expected to be used for power regeneration in automobiles and industrial machinery to play an effective role in energy conservation.